Our goal is to help network operators simplify the process of offering new revenue-generating products and services and run their networks more efficiently. This goal inspired our “simple network, simple operation” philosophy of product design whereby we help customers eliminate unnecessary layers of technical and operational complexity. As a result, network operators can reduce capital expenditures and operational expenses, while maintaining a high level of network reliability, performance and security. Quality and reliability – Ensure the highest quality and level of reliability of our products, which is essential in establishing long-term relationships with our customers. In addition to our broadband business, UTStarcom has made several strategic investments in “new media” companies that expand our capabilities in the field of “next generation” video platforms and put us on the forefront of the most sought-after features in consumer entertainment technology. We are the single largest investor in aioTV (http://aio-tv.com/about/) and UiTV (http://www.uitv.com/), early-stage companies that provide “next generation” media operational support services in the rapidly growing markets for TV over IP and OTT video services. We are leveraging the synergies with aioTV and UiTV to bring the most compelling on-demand video services to our operator customers. In addition, we are using insights from these companies to optimize our broadband solutions. UiTV is a full service IPTV provider that partners with traditional telcos in developing markets to animate the infrastructure with rich, HD TV entertainment, enabling telcos to offer their customers a one-stop, multi-screen experience. aioTV is an OTT middleware video platform for service providers and content owners worldwide enabling them to easily aggregate multiple sources of live, on-demand and freely available video content into a single, unified TV experience with a consistent multi-screen user interface across connected devices. 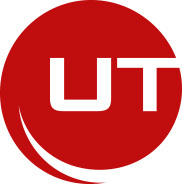 UTStarcom is a global telecom infrastructure provider, focused on delivering innovative carrier-class broadband transport and access (both Wi-Fi and fixed line) products and solutions, optimized for mobile backhaul, metro aggregation, broadband access and Wi-Fi data offloading. UTStarcom was founded in 1991 and began trading on NASDAQ since 2000. It has operating entities in Tokyo, Japan; San Jose, USA; Hangzhou, China; and Delhi and Bangalore, India. In 2011, the Company deployed a revamped growth strategy that concentrates on broadband and selective investments into innovative companies providing media operation support services.